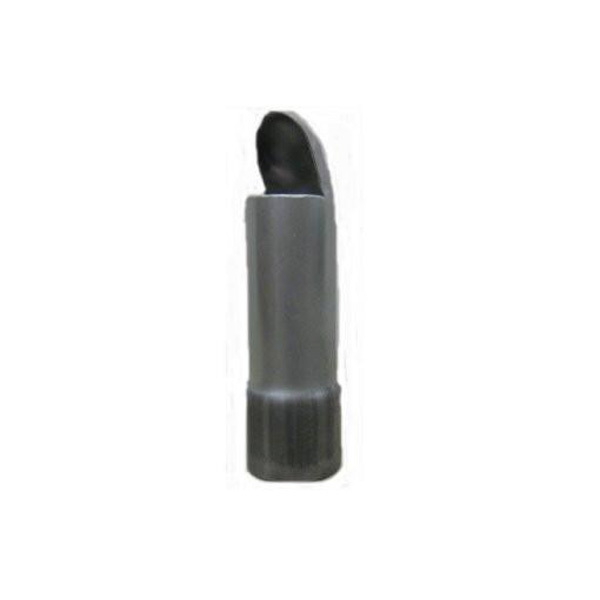 Non-Swivel Directional Nozzle for Insulation Hose. This nozzle is to be used with a 2 1/2" insulation blowing hose. After drilling a 2 1/2" hole in the wall, place the nozzle in the wall to blow insulation in the wall cavity. The nozzle comes with an attached dust bag to contain excess dust. The nozzle can be turned to blow down the wall and once the insulation reaches the nozzle, the handle can be turned to direct the insulation upward to fill the upper portion of the wall.Ask us about custom 3" models.